It's no wonder that fall in New Hampshire is a popular time for weddings. 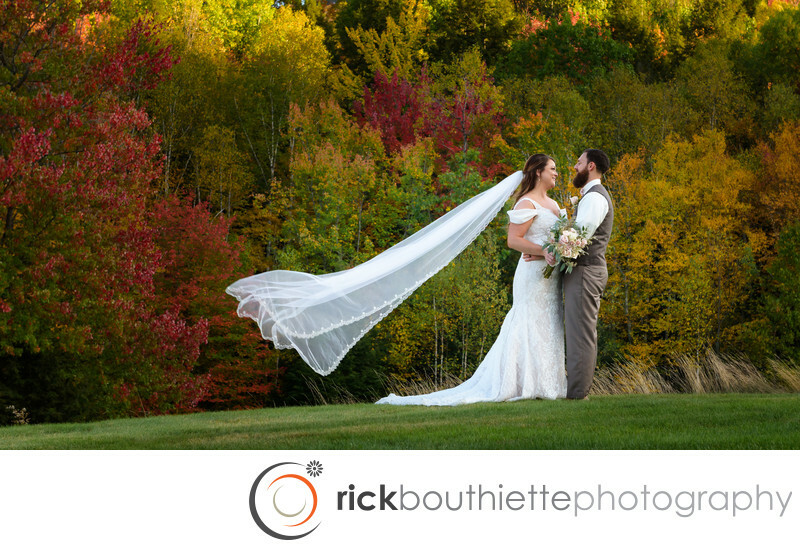 Donny + Alyssa said I do surrounded by the beautiful fall colors and mountains at their Ragged Mountain wedding. We also love fall because we don't have to look far for a stunning backdrop for bride and groom photos... This was taken just steps from their ceremony site.